I took it slow during my first day in Georgia because I wanted to give myself some time to process everything going on in my brain. 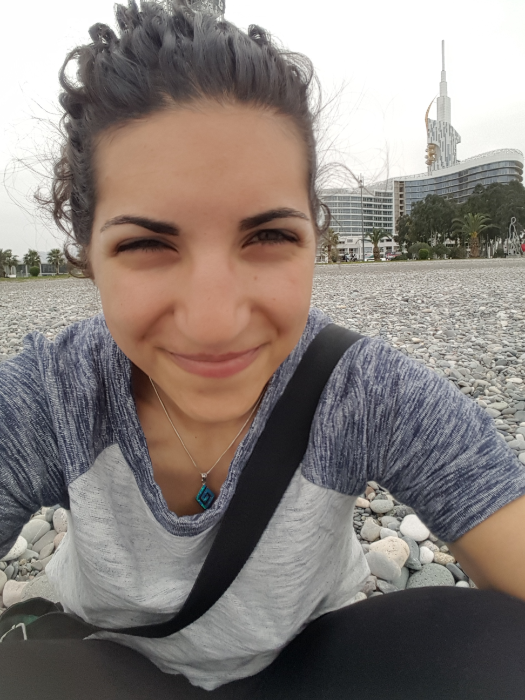 I checked into my hostel, sat in a park and journaled, and went to bed early because the next day, I had an 8AM train to Batumi. Batumi is the major beach town in Georgia. It’s on the Black Sea, and I knew basically nothing about it going in except for those two things. Last time I was in Georgia, we met some people who said it was a great place to visit, and apparently that’s all I needed to be convinced. 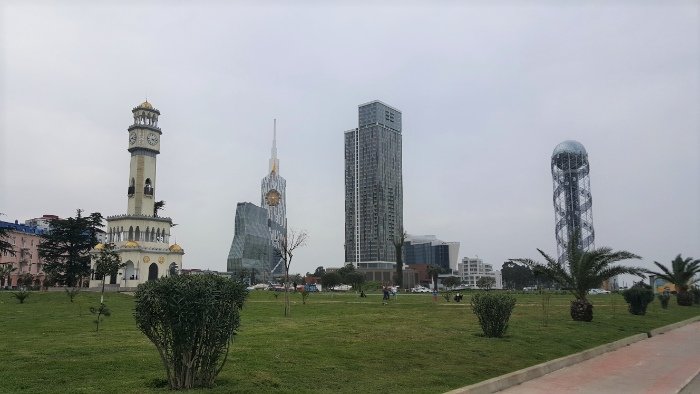 I also knew that I wanted to get out of Tbilisi for a few days, and Batumi seemed like as good a place as any. I was definitely not prepared for such interesting buildings! The pointy one in the middle literally has a ferris wheel on the side of it. The train ride was five hours which is maybe a lot, but at this point, unless a leg of my journey is more than ten hours, I don’t even think twice about it. Five hours is easy, plus on a train you have a bathroom and space to walk around if you want. Luxury! After the all-too-familiar packing struggle, I pulled myself together and left the hostel around 7:15 to get to the train station early in case I had any issues. It was a little confusing to figure out how to get into the station, but with my “keep cool and use your brain” mantra playing on repeat in my head, I followed some people carrying suitcases and was delivered straight to my train. Fabulous. The train ride went smoothly until we were maybe 20 minutes from Batumi. We stopped at a station along the way and then didn’t start moving again. They made some announcement in Georgian and Russian, and people started freaking out. I asked some Russian-speaking girls sitting near me if they spoke English, and one knew enough to explain that there was something happening with the train and the tracks and the weather maybe? But the conclusion was that the train was not moving until whatever was resolved, and there was no timeline on when that would happen. Okay, cool. I settled in to wait it out because sometimes these things happen. Around me, it was chaos. People were yelling at the conductors in Georgian and Russian (as if that was going to change anything). Some were jumping ship and aggravatedly calling taxis to go the rest of the way. An English-speaking kid was whining about how the wifi wasn’t working, and his mom was going on and on about how she was worried that the train was going to leave us in the middle of nowhere as if she thought that was an actual possibility. And then she said, “and we’re running out of water,” as if we were stranded on a desert island and minutes away from death by dehydration. 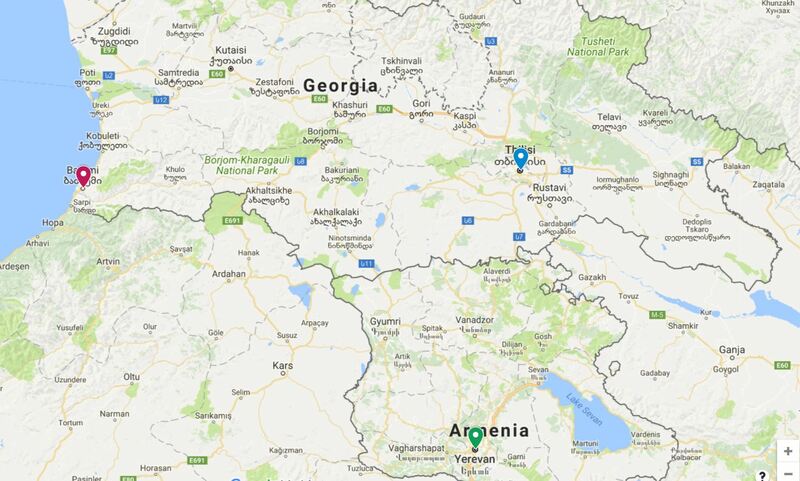 About an hour later, we started moving again and made it to Batumi maybe an hour and a half behind schedule. Not a big deal. The next step was figuring out how to get from the train station to my hostel. The easy thing to do would be to take a taxi. When you’re trying to travel on a budget, you usually choose economic over easy, so I was taking the bus. I had scoped out the bus routes online, so I was fairly confident that I knew which numbers I could take. After a struggle figuring out where the bus stop was, I made it there and hopped on the first bus that came by. When I’m figuring out a new public transport system, I usually watch to see how everyone else pays and then just follow along with that. This time, I was the only one to get on, so that wasn’t an option. I sat down and stared at the various payment locations like maybe they’d make sense if I focused hard enough. Finally, a woman got on and I watched to see what she’d do. She took a chip card out of her purse and tapped it on one of the card readers. Okay, not helpful. I only had cash which meant that I needed to figure out the cash payment method. The woman looked nice, so I made eye contact (probably with a slightly panicked look in my eyes), held up some change, and made my best “how do I pay with cash?” face. This is the way that travelling works when you don’t speak the language. Observation, facial expressions, sign language, and charades are key. She pointed to a woman who was sitting in the back of the bus, and the woman quickly came over to me. I pulled out the amount I thought I owed, she looked perplexed, and I dumped a bunch of change in my hand and held it out to her. She took what she needed, gave me some change, went to one of the machines to punch my ticket, handed it to me, and showed me that I had paid for two rides instead of just one which was why my ticket cost more than I thought. When we got close to my stop, my friend was getting off too. She offered to help me with my bags, and the ticket woman helped me to untuck my scarf which was stuck in my backpack. Basically, everyone was taking care of me. On the street, my friend introduced herself as Mina and asked if I needed a place to stay (via charades). I had a hostel booked so I was good, but I was definitely appreciative of the fact that everyone was so nice and helpful. Since it’s still the off-season in Batumi and I was there during the week, I had the entire 6-person room in the hostel to myself! I was super happy to see how quiet and relaxed the city was because that’s exactly what I needed, a little escape from chaos and some time to think. I walked out to the harbor and followed the water to the beach where I had the BEST surprise. 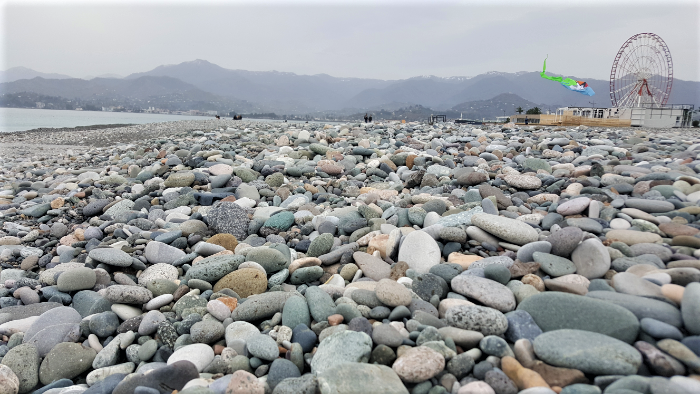 It was a stone beach! Okay, I know what you’re thinking. “Lara, you went to this place without even knowing that the beaches weren’t sand? Did you read literally nothing about it? ?” The answer to that would be yes, and that is totally not like me but I’m trying this new thing where I go with the flow and don’t over-plan my life. Okay so prepare yourself for a lot of rock pictures but like… I’m in love. Anyway, that complete lack of research led to me being pleasantly surprised and extremely excited by what I found, so I’d argue that it was even better that way. In case you don’t know this about me, I despise sand. I don’t think I’ve ever truly liked it, but I successfully ignored that truth until a pivotal experience. Long story short, my friend Sarah and I went camping on a beach once because that’s such a romanticized idea and how cool to sleep on a beach… and by the morning, we were so over it. Three words: Sand. Gets. Everywhere. It was in the tent, in our clothes, in our mouths, all over everything. There was no shade because we were on a beach, and the tent was like an oven in the morning (that’s not sand’s fault, but it didn’t help the situation). We took showers and still felt sandy. We were on an island, and when the morning’s first ferry to the mainland pulled up, we couldn’t get on it fast enough. And that was the dramatic end to my already rocky (hehe) relationship with sand. 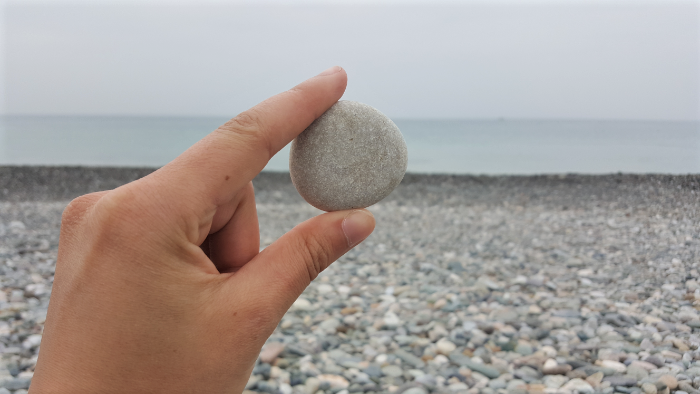 So anyway, as I was saying, stone beach. I think this might be one of my new favorite things because besides the fact that there’s no sand, the stones were beautiful! They were a million different colors, smoothed out by the sea and with pieces of driftwood mixed in. 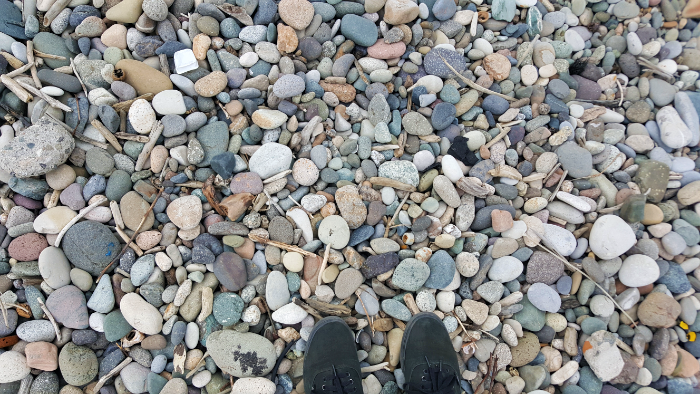 I walked along the shore (note: walking on a stone beach is at least as awkward as walking on sand, especially as the stones get smaller. Also, infinitely louder. 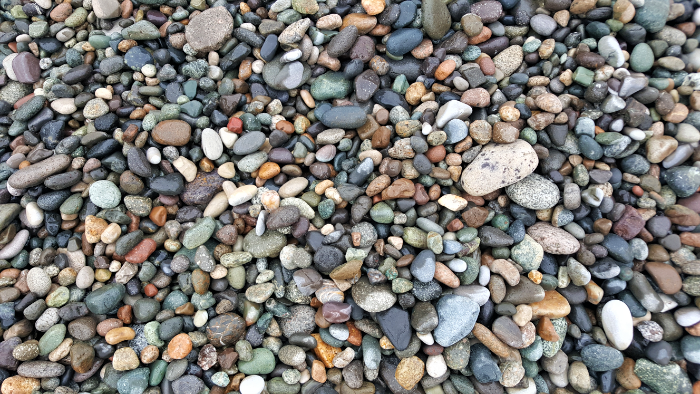 There’s no way to sneak up on someone on a stone beach) until I found a good spot devoid of weird beach couples, plopped down, and organized my rock collection. I love rocks. Pretty much in every application. I love old buildings made of rocks and rock-filled ruins. 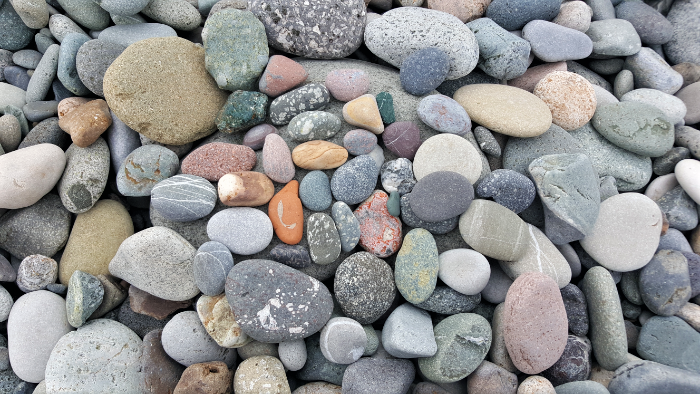 I also LOVE smooth and colorful rocks, and that is exactly what I was surrounded by. Between the rocks and the sound of the waves, I was in heaven. AND the weather was perfect. I had a t-shirt on, there was a nice, warm breeze coming off the water, and I didn’t even notice the temperature which means it was exactly right. 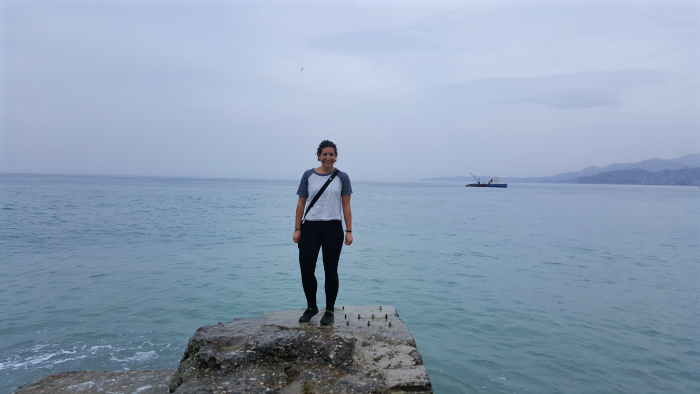 After sitting there and sorting rocks for who even knows how long, I decided that I had to go and touch the water because it’s the Black Sea, and I’m trying to touch as many bodies of water as possible. Okay, always a difficult task when you’re trying to touch water that’s coming in waves and you don’t want the rest of you to get wet. 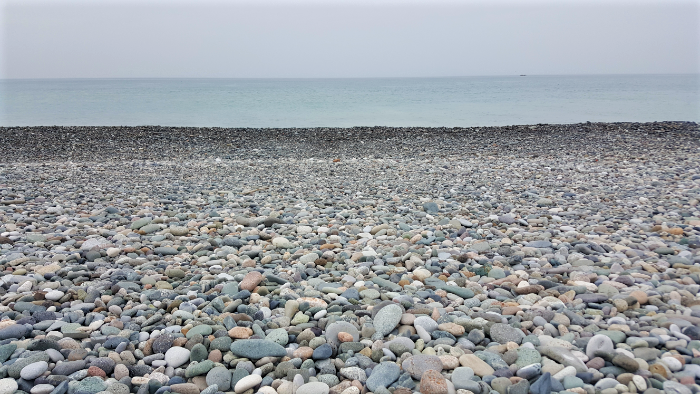 As I got closer to the water, I realized that half of the sound of the waves was the rocks clinking over one another as the waves went back out to sea. Seriously one of the coolest sounds. So of course, I stood there for a bit just listening before I got back to my mission. I spotted a good strategic location… there was a concrete pier sticking out into the water, and I thought that would be the perfect place to stick my hand down and keep the rest of me dry. The only problem was that there was some guy filming a video of himself that seemed to go on and on forever. After he finished, I hopped onto the pier, did my water touch, and was about to leave when he asked me to take a picture. He was British, and we got to talking and that was the end of any plans I had for the day. Ben and I got khinkali for dinner because he hadn’t had it yet, and it’s a classic Georgian dish. 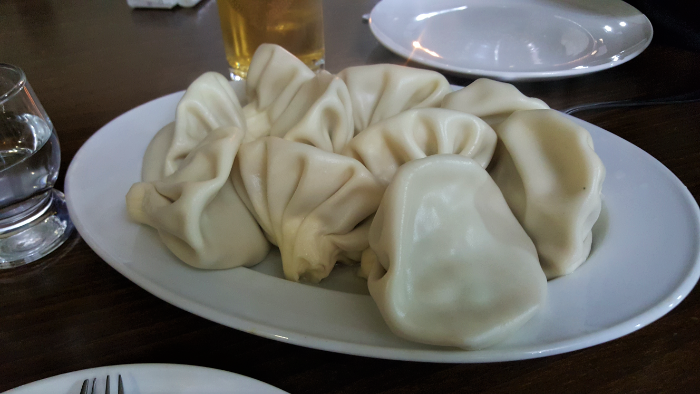 I always describe them as little meat-filled money sacks. Nearly every travel friend I’ve made has taught me something about myself. I’ve met some incredibly insightful people, and despite the fact that those relationships are generally short-lived, it doesn’t matter. Sometimes, an 8-hour friendship can have a lifetime impact. It’s a good reminder that every interaction, no matter how brief, has the possibility to shift someone’s life.